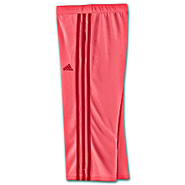 Adidas - Made just for girls the adidas Capri Workout Pants give her a fun and sporty look all her own. Styled in soft cotton with a bit of stretch these cute capris are a comfortable choice for playing all day long. Adidas - Simple and sporty the adidas Roll Over Capris are versatile and easy to wear. With a comfortable rollover waist and handy pockets these girls' capris sport the classic 3-Stripes on both legs. 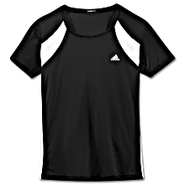 Adidas - CLIMALITE Cap Sleeve Top Leave the sweat for somebody else. This adidas CLIMALITE(r) Cap Sleeve Top keeps you feeling fresh thanks to CLIMALITE(r) fabric that sweeps away perspiration. Also features cap sleeves and the iconic 3-Stripes on the sides. 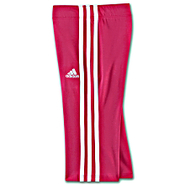 Adidas - Rally Capris Casual comfortable with a touch of pretty. 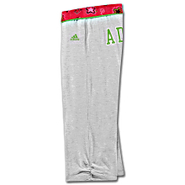 These adidas Rally Capri pants show off an adidas graphic on the back with a fun print around the elastic waist. 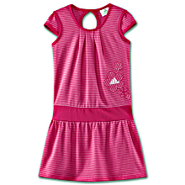 Adidas - Bring on the fun in the adidas Play Dress. Cute and colorful this striped dress features cap sleeves and a drop-waist design embellished with floral embroidery. All in soft comfortable cotton. 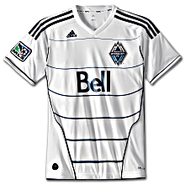 Adidas - This adidas Vancouver Whitecaps Home Replica Jersey is a faithful replica of the soccer jersey the 'Caps wear when they're dominating the field at home. Features CLIMACOOL(r) ventilation that keeps you cool and dry.